Discussion in 'Lets Talk about gambling and more...' started by Marina, Dec 5, 2014. 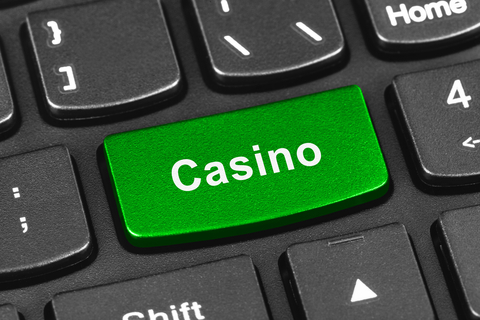 Seasoned pros know what to look for in an online casino. Even when they stray from one of their favorite hotspots, knowing the good from the bad is often second-nature for them. However, someone new to the industry might not have the same instincts, and it can be tough to know which ones are safe. So, before you place a bet, consider the following six questions. 1. Do they accept players from your country? casino itself prefers to work with players who are in certain countries. Again, many of them will automatically block play from those who try to log in from a region they don’t serve, but this isn’t always the case. There are a few that don’t provide notifications outside their terms of service listings. Unfortunately, some of them will gladly accept deposits and wagers, but will balk when a player tries to collect winnings. Always verify your country or jurisdiction is on the website’s permitted list ahead of time to avoid complications later, even if they accept your money and let you wager. 2. What licenses do they hold? as some rogue casinos have been known to spoof certifications. Take note of which licenses the website holds and then cross-reference the information directly from the licensing agency. 3. What is their withdrawal process? large determining factor in whether you wager at a particular casino, it’s nice to know what to expect before you win. 4. What is their reputation? Perhaps one of the greatest factors of them all is the reputation of a casino. Online casino reviews can be a wealth of information, and they often take many of the other things on this list into consideration. tone reviews provide, and take recurring themes into consideration. Online forums are great for this as well, because you’ll see average people talking about places they’ve actually visited. 5. What is their RTP? better and costs them more to run. 6. Do they offer bonuses? you may find bonuses available for returning players, which can vary by the week, day or month. A few casinos also offer loyalty programs, which allow you to trade in points for free games, cash, or prizes. don’t use it. You can always post to a general forum and ask about a specific site or policy to see if it’s legit. Knowing you’re on an honest and fair website makes game play much more enjoyable. Kotsy and Seaman63 like this. It is not a common business idea to give you money. Online Casinos prefer to earn money and not to spend money. Kotsy, Ellis and Marina like this. Yes! Casinos have to make money on the end. Some players get lucky and win while many others don't. Really good read for new players. It's always important to be informed before you spend your hard, earned cash. Reputation is very important for me and really give me some insight into the Casino.